It was already announced earlier that as the world nowadays is more open for the understanding of mystical thought, many deeper lectures which Inayat Khan originally intended only for his disciples would be published in the near future. It is appropriate that this edition of The Gathas of Inayat Khan can now be brought out on the hundredth anniversary of his birth. These Gathas are, with few exceptions, unpublished teachings given to his disciples in the early 1920's. 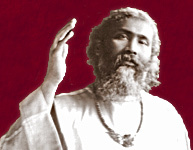 In his understanding and consideration of the individual's needs and response Inayat Khan presented each of the seven subjects of The Gathas in three stages, each stage consisting of ten lessons. Whilst in the training courses of the Sufi Movement The Gathas have been offered in a slightly different order, the editors have chosen to publish them in accordance with the research made by Nekbakht Furnee and Sirdar van Tuyll van Serooskerken, whose records indicate Inayat Khan's own publication intentions, and who together with other pupils and close associates of Inayat Khan compiled and prepared this version.